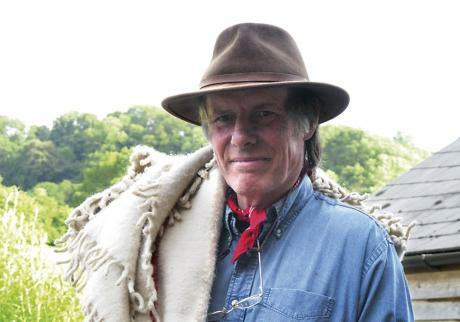 Very thoughtful and reflective hearing the news of Patrick Whitefield’s passing – an inspirational teacher and writer about permaculture. I lived in the same town and ‘community’ as Patrick for many years. I remember that field well, and it has been a circling inspiration for me in a way that he probably didn’t know about, in that way that someone’s integral action can be a quiet inspiration unfolding persistently over time. It was a good action that White Field. An excellent tribute to him at the Permaculture site. “This book is much more about solutions than about problems, more about what we can do in the present situation than about how we came to be in it in the first place. Yet there’s no escaping the fact that the Earth is in a dire state, and getting worse. In the twenty-three years I’ve been actively involved in the ecological movement almost every aspect of planetary health has got worse. “This raises the question: Is it all worth it? If we do our best to heal the Earth and make our place in her a sustainable one, is there a good chance that we will succeed? Or is it a forlorn hope? It’s a big question, and one which can lead to depression if we look at the facts honestly and dispassionately. But to my mind it’s the wrong question. Even if we could answer it – and we can never know anything about the future for certain – it would beg the question, How do I want to live my life? “Here I find the teaching of Mahatma Gandhi very useful. One of his precepts was that of non-attachment to the fruits of our labour. All we can do in life is to make sure that we play our own part in it the best way we can. Much as we would like to, we can never do more than that. Everything we do is so complex, and relies for its ultimate completion on so many different people and natural forces, that we can never take responsibility for the final outcome of our actions. We can only take responsibility for our actions themselves. Thank you for everything you’ve given Patrick. Onwards, into the sky and into the heart of matter, in all its meanings.